Generate Laravel Code and Make Money. Debugging Design: 5 simple design principles to make your UI "not look terrible". The introduction to Testing I wish I had. Beyond tedious meetings: A way to build a self-organized team. How to find / manage remote developers. After-Party at De Ysbreeker. Don't have a ticket, yet? Buy one here. Don't hesitate to ask questions or come to us with your concerns. Laracon EU will host an after-party for attendees, speakers, and staff on August 30th at 8 p.m. This will be a great way to close off our 5th Laracon EU. After-Party tickets are €30 per person, and include two free drinks and small snacks. Dinner is not included. De Ysbreeker was established in 1702. Throughout it's existence it has represented a multitude of things; relaxation and amusement as an inn and pub in it's infancy, an instrumental billiards cafe, and a meeting place for everyone who had suffered during World War II. This rich history gives it an immense depth and a certain undecipherable beauty. Currently, it functions as a cafe and restaurant, where playing board games is encouraged. How do I Travel to the After-Party's Venue? Take the metro (line 51, 53 or 54) from Amsterdam Central Station or Amstel Station to Weesperplein. 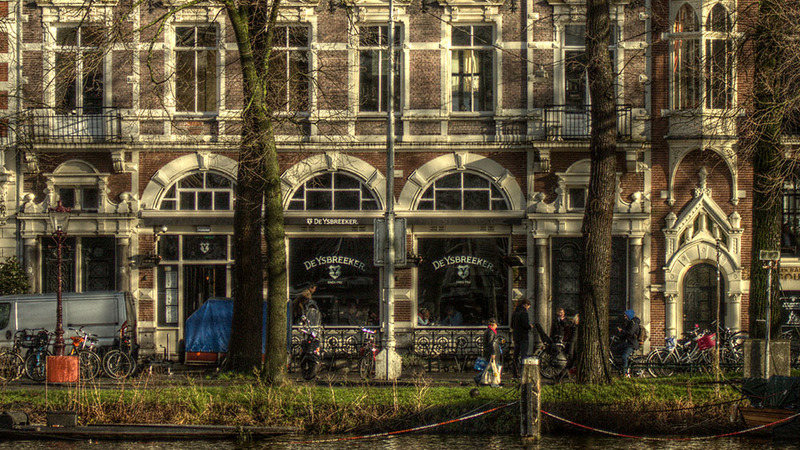 Follow Sarphatistraat and turn left in the direction of the Amstel river. Walk along the Amstel until you passed the Amstel Hotel and the cycling tunnel. You will find De Ysbreeker on your left hand side. You can also reach De Ysbreeker by taking tram 3 (stop Wibautstraat/Ruyschstraat), tram 7 and 10 (stop Weesperplein). Does a Conference Ticket include an After-Party Ticket? No, conference and after-party tickets are separate. Do I Need a Conference Ticket to Attend the After-Party? Yes, a conference ticket is mandatory to attend the after-party. For exceptions, contact us at [email protected]. Without them it would be impossible to create such an amazing experience. Join the conversation @laraconEU #laraconeu [email protected] Copyright 2015–2017 WebEngineers. All rights reserved.